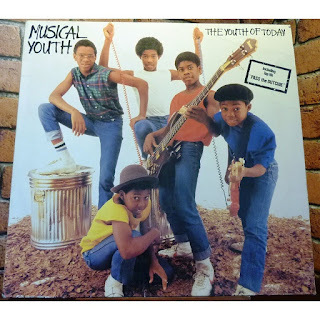 "Pass the Dutchie" is a reggae song recorded by the British group Musical Youth from their 1982 album The Youth of Today. It was a major hit in the UK, holding the number one position on the singles chart there for three weeks in October 1982. Musical Youth was formed in 1979 when the fathers of Kelvin and Michael Grant and Frederick (known as Junior) and Patrick Waite put together a band featuring their sons. The latter pair's father, Frederick Waite Sr, had been a member of the Jamaican reggae group The Techniques. 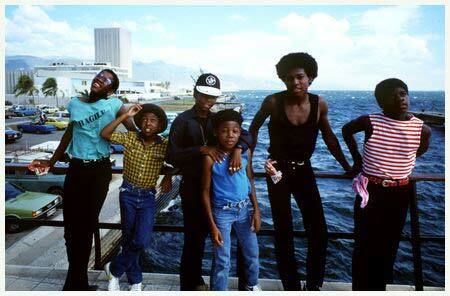 Frederick sang lead with Junior at the start of Musical Youth's career. Although schoolboys, the group managed to secure gigs at different Birmingham pubs and released a double single in 1981, including songs "Generals" and "Political", on a local label (021 Records, named for the then-Birmingham area code.) An appearance on BBC Radio 1 John Peel's evening show brought further attention to the group, and they were signed to MCA Records. By that time, founding father Frederick Waite Jr had backed down to be replaced by Dennis Seaton as lead singer. The song was the band's first release on a major label. It was a cover version of two songs: "Gimme the Music" by U Brown, and "Pass the Kouchie" by The Mighty Diamonds, which deals with the recreational use of cannabis ("kouchie" being slang for a cannabis pipe). 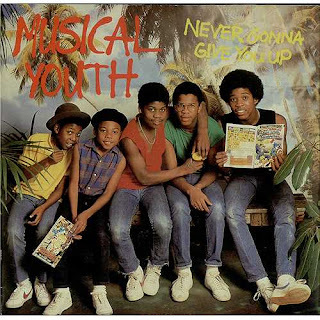 For the cover version, the song's title was altered to "Pass the Dutchie", and all obvious drug references were removed from the lyrics; for example: when the original croons "How does it feel when you got no herb? ", the cover version refers to "food" instead. "Dutchie" is used as a patois term to refer to a food cooking pot such as a Dutch oven in Jamaica and the Caribbean. It has since become a drug reference in itself, denoting a blunt stuffed with marijuana and rolled in a wrapper from a Dutch Masters cigar, since American and British listeners assumed that the term was a drug reference. Their debut album The Youth of Today was certified gold in the UK, while the follow-up single, "Youth of Today", reached number 13 in the UK Singles Chart and "Never Gonna Give You Up", released early in 1983, climbed to UK number 6. Minor successes with "Heartbreaker" and "Tell Me Why" were succeeded by a collaboration with Donna Summer on the UK Top 20 hit, "Unconditional Love". The group also took part in her 1983 TV special A Hot Summer Night with Donna. Their second album, Different Style!, was released in 1983 and showcased more R&B-influenced repertoire to make the band more accessible in the North America, but flopped on both British and American market. A revival of Desmond Dekker's "007" saw them back in the Top 30, but after one final hit with "Sixteen", their commercial success ended. The band received a Grammy Award nomination for Best New Artist at the Grammy Awards of 1984. With their careers going downhill, the band members became embroiled in legal, financial, and personal problems. In 1985, Dennis Seaton left the band, leading to its dissolution. The Grant brothers remained involved in the music industry; Seaton released a solo album in 1989 before going on to form his own band, XMY. Plans for a reunion of Musical Youth were halted when Patrick Waite, who had gone on to a career of juvenile crime, died in Birmingham in February 1993. Only 24 years old, he collapsed from a hereditary heart condition. A compilation album, Anthology, was released in 1994, followed by Maximum Volume: The Best of Musical Youth in 1995. Now reduced to a duo, Michael Grant and Dennis Seaton reformed Musical Youth in 2001, and planned a tour. However, the tour plans were cancelled due to the September 11 attacks. In 2003, Musical Youth finally performed as part of the Here and Now tour, an annual series of nostalgia concerts featuring performances by musicians of the 1980s. A compilation album was released in 2004, 20th Century Masters: The Millennium Collection. In 2005, the band performed at the Wiesen festival in Austria. 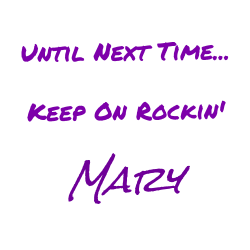 In 2009, they released a cover of Boney M.'s "Mary's Boy Child – Oh My Lord", followed by Jimmy Cliff's "The Harder They Come" in 2013. Their new album, When Reggae Was King is scheduled for release in 2016. Currently, Grant and Seaton are performing via music manager and agent Jessie Tsang.